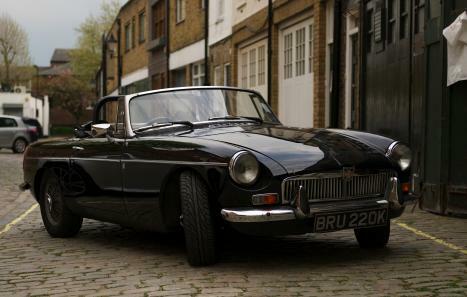 For sale black MGB convertible from 1971. 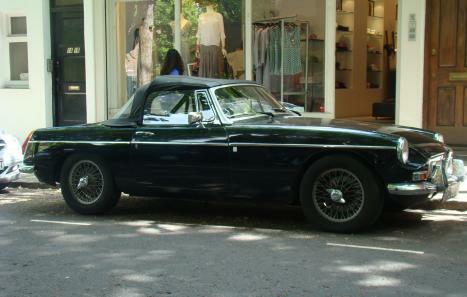 Woman driver, full service history, chrome bumpers and wired wheels. 57000 miles.